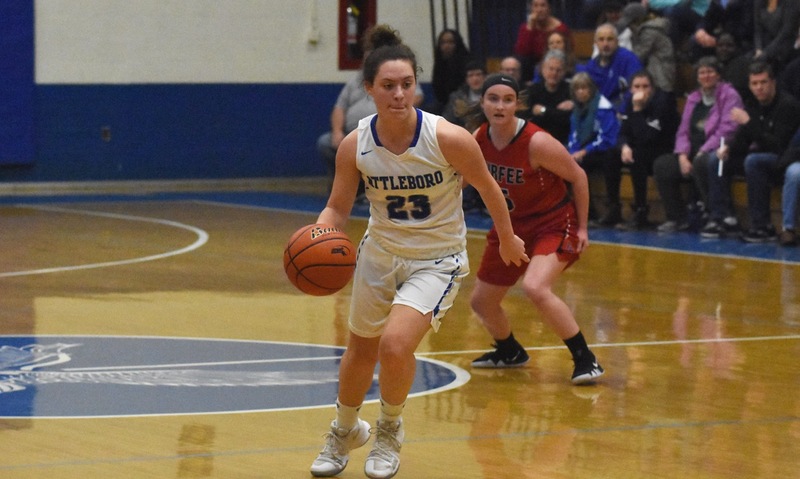 North Attleboro, 48 @ Attleboro, 37 – Final – North Attleboro made it three straight wins and earned a season split with the Bombardiers behind 11 points from Amanda Kaiser and 10 points from Eliza Dion. Attleboro was led by Nyah Thomas’ 14 points. Attleboro, 0 @ Taunton, 1 – Final – Click here for a Recap and Photo Gallery from this game. Foxboro, 3 @ Franklin, 3 – Final – Foxboro’s Ronnie MacLellan and Brendan Tully each scored once and had an assist, and Kirk Leach scored once as the Warriors built a 3-1 lead in the second period but Franklin scored a pair of third period goals to salvage a point. Zac Falvey scored in the first for Franklin but the Panthers trailed 2-1 after one. Junior Kyle Hedvig scored with 12:38 to go to bring the Panthers within one and senior Joey Lizotte netted a shorthanded breakaway with six minutes left to knot the score 3-3. Mansfield, 2 @ North Attleboro, 0 – Final – Click here for a recap and photo gallery from this game. Stoughton, 0 @ Canton, 9 – Final – Canton senior Maggie Malloy scored her 50th career goal as the Bulldogs skated to a Hockomock League win over Stoughton. Mansfield/Oliver Ames, 4 @ Cape Cod, 3 – Final – Mansfield/Oliver Ames scored three times in the final period to earn a victory on the road against Cape Cod. Trailing 2-1 left in the period, the Warriors scored two straight to take their first lead of the game before Cape Cod struck for a power play goal with 2:45 to play to tie the game. MOA answered with 1:29 left to earn the full two points. MOA freshman Skyler Sharfman scored the game-winning goal and also had an assist in the win. Mackenzi Fraser scored twice, Ella Waryas and Emma Garland each scored once, Izzy Shanteler had two assists, and Emma Pereira had one helper. Jess Widdop made 15 saves in net. Franklin, 73 @ Taunton, 3 – Final – Franklin’s Jake Carlucci (113), Alex Fracassa (126), Ken Sauer (138), Tommy Zogby (145), Caleb MacLean (160), Dominic Sackley (170), Dylan Nawn (182), Ben Jacoby (195), and Riley Downing (285) each earned pinfall victories for the Panthers. Taunton’s Tyler Lima earned a 5-2 win at 120. Mansfield, 45 @ Oliver Ames, 22 – Final – For Oliver Ames, Nick McGovern and Nelson Malone earned victories via pinfall while John Dobbin won by major decision. 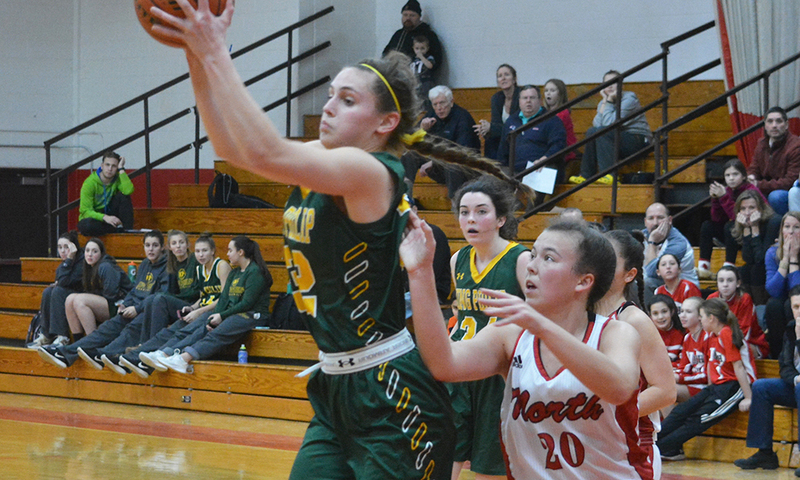 Stoughton, 16 @ North Attleboro, 63 – Final – North Attleboro went on the road and picked up a division win over Stoughton behind eight pinfall victories. Michael Burns (145), Michael Edmunds (152), Montrel Jackson (160), Matt Warsofsky (170), Liam Rizk (182), Alex Warsofsky (195), John Kummer (220), and Mateusz Kudra (220) each won via pin. Stoughton’s John Santos (113) and Ethan Freedman (132) won by pin while CJ Carpenter (106) won by major decision (14-4). 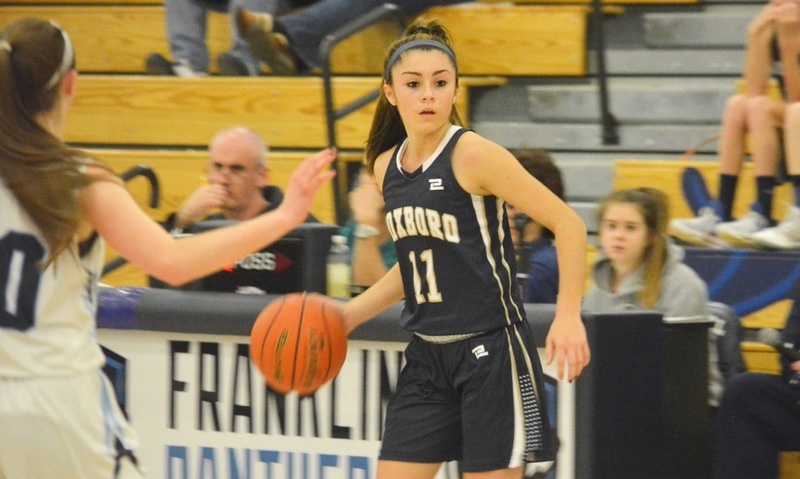 Taunton, 132.2 @ Franklin, 133.3 – Final – Franklin freshman Kate Rudolph stepped up to take second overall in the All Around, helping the Panthers edge Taunton. With top gymnast Mia Lizotte sidelined with an injury, Rudolph stepped up to earn a 34.1 in All Around, which was second against Taunton and first against Medway. Rudolph earned a 9.1 on vault, 8.0 on bars, 8.4 on beam, and 8.6 on floor. Emma Owens added an 8.5 on the vault, 8.3 on the bars, and 8.7 on the floor.